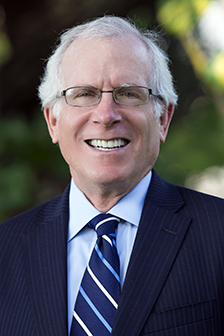 Originally from Washington D.C., Ron Collier has lived in Sarasota for the past 35 years, and has practiced law for over four decades. This extensive legal background provides an exceptional foundation for his transition to real estate, where he specializes in downtown Sarasota, waterfront properties and golf course communities. Ron earned his Juris Doctor from Suffolk University Law School in Boston, ... more.MA, before embarking upon a highly successful, 40-year career as a litigation attorney and mediator. Upon assuming an Of Counsel role at Shumaker, Loop and Kendrick, LLP, Ron and his wife Janis – a top-producing agent with Michael Saunders & Company for more than two decades – decided to merge their respective talents to form an extraordinary team. Along with their daughter-in-law, Mary, The Collier Group offers comprehensive real estate services that cover each and every aspect of the complex transaction process. From finding the perfect home, to employing the latest marketing strategies, to negotiating and reviewing contracts, their customers can be assured of a smooth, seamless and professional experience. Ron and Janis have been married for 42+ years, and for most of that time have lived in Sarasota. Deeply involved in the local area, they are proud supporters of the Jewish community and several non-profit organizations. They love spending time with family – including their two grown children and five wonderful granddaughters. ...less. We really love what you showed us an appreciate being taken out of our comfort zone, as you hit the nail on the head! We understand why you have so many client accolades; we would like you even if you had only 3! Thanks so much! Mike and I would like to thank you both for all of your hard work on our condo purchase. It really was a pleasure working with you both. You make a great team. Our home sale with the Collier Group was the most pleasant and successful real estate experience we've ever had. Our home sold within 36 hours of listing, even before the "For Sale" sign went up. The entire process was superb, including the pre-listing conference, the professional photography, use of the internet, the property showings, interactions with buyers agents, and closing arrangements. The decades of Janis and Ron Collier's experience put us in good stead. Communication was excellent throughout the whole period. We couldn't have been more pleased. - Bob & Amy I.